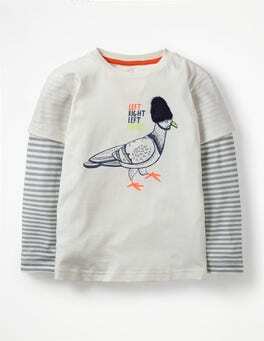 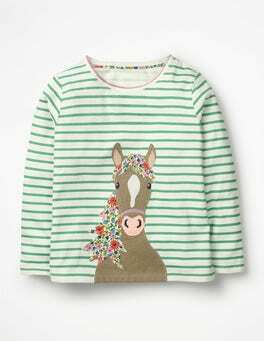 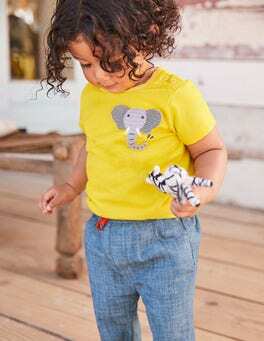 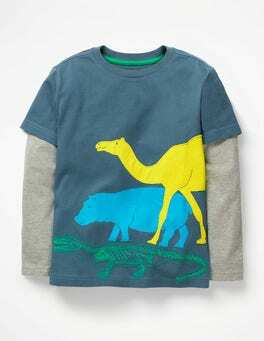 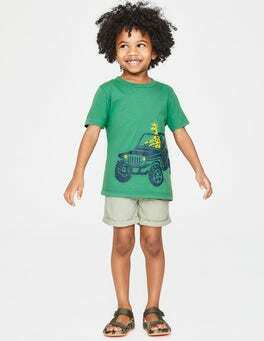 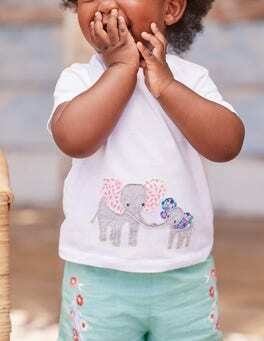 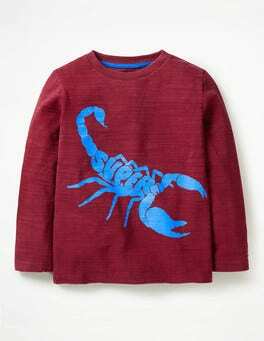 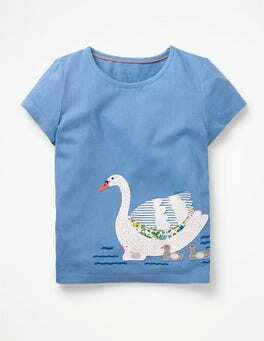 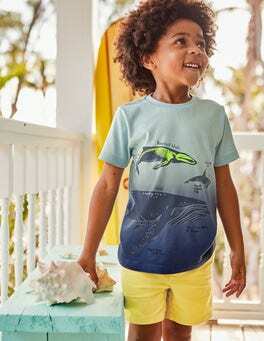 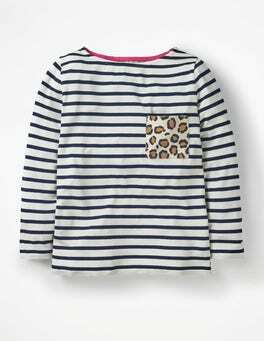 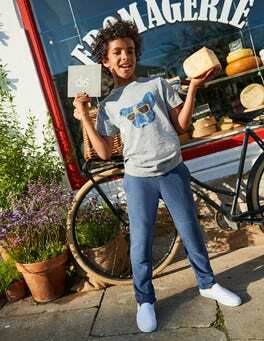 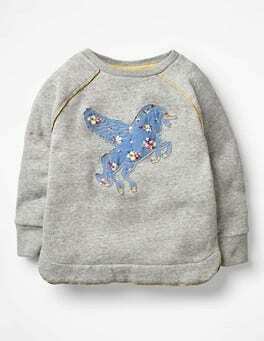 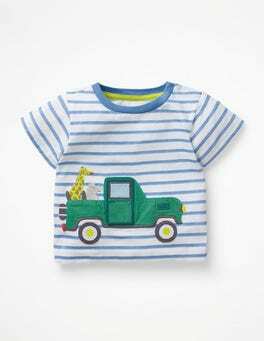 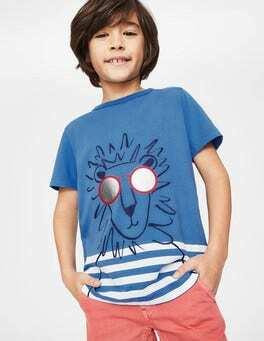 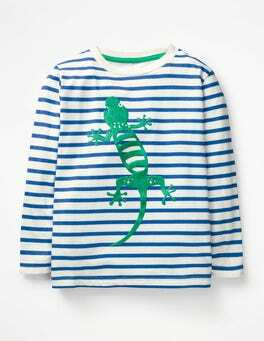 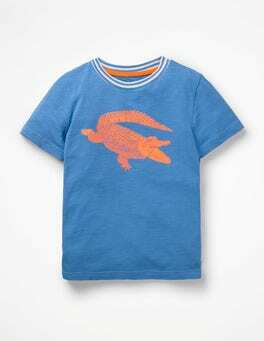 Calling all animal lovers – we've added playful appliqué friends to the front and back of this stripy cotton T-shirt. 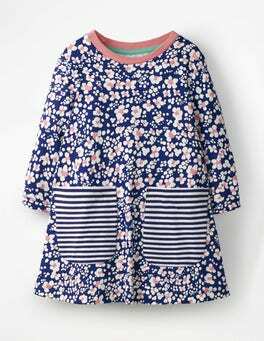 The floral patchwork prints are worthing hopping up and down for. 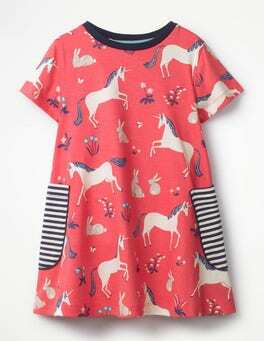 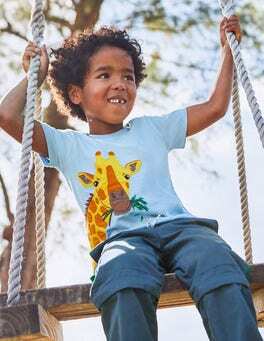 The swing shape of this bold, bright tunic is comfortable to wear whether you’re climbing trees or creating your next masterpiece. 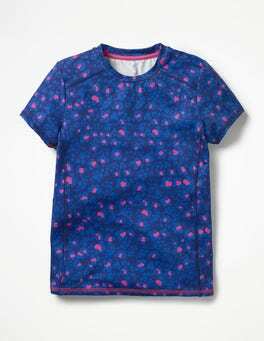 Soft jersey lives up to daily adventures and the wash. Layer with leggings or jeans on chilly days. 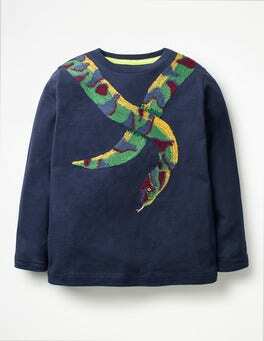 With a sporty racer back and wild animal print side panels, this crop top's made for getting energetic. 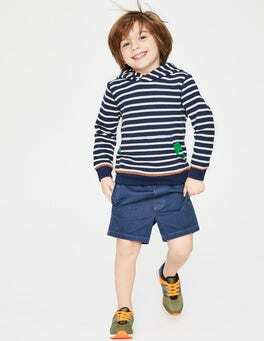 An elastic band in a bright contrast stripe result in comfort and style on active days.